Baricska csárda and inn can be found in a unique environment, among ancient vines, in the heart of Balatonfüred – ca. 600 metres from the harbour and Promenade – next to a vineyard that is also being currently cultivated. There is a fantastic view of Lake Balaton from the terrace covered by wild grapes. Since its reopening in the early summer of 2013 the inn – whose history dates back to 1811 – has not only offered the excellent fish dishes and the traditional meals of the people but it still remains true to the traditions. 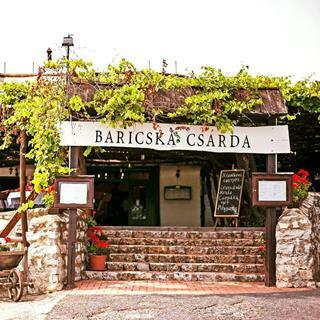 The operators of the reopened Baricska Csárda – who have already proven themselves with the great Restaurant Chianti in Veszprém – set themselves the objective to make this catering unit a sanctuary of gastronomy, wine culture and culture that advertises the traditions and fame of the neighbouring winemakers and of Hungarian cuisine. The restaurant is located in the central area of Balatonfüred, north of main road number 71 (and can be approached via the service road at the entrance to SHELL petrol station). There is a wonderful panorama to ancient vines, Lake Balaton and the Peninsula of Tihany. At the end of 2013 our inn became a full member of the group called Stylish Intellectual Gastronomy in the Countryside that unites the most excellent restaurants in the country and in March 2014 it was a founding member of Balaton Circle (Balaton Kör) dreamed into life by the 20 most prestigious wine-makers and restaurants by Lake Balaton. 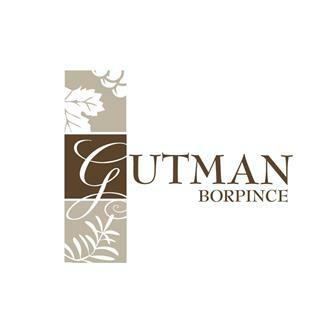 The Bergmann Confectioneries were named after the Bergmann family, in which the confectionery-vocation has been a tradition through generations. The First Bergmann Confectionery was established by our father, grandfather and great grandfather-Imre Bergmann in 1939. We consider his professional calling an example to follow.Since 1992 and 1999, our confectioneries have been attracting pastry lovers from all over the world. 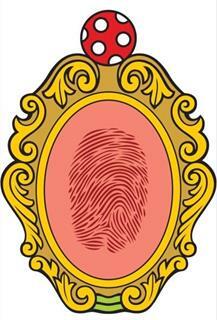 Due to our family principles, we have a high rate of regular costumers. Our family principles dictate using only first rate ingredients.Our confectioneries showcase many delicacies, including; self-made pastries, cakes, icecreams, icecream sundaes, breads, and speciality coffees.The traditional and habitual flavours can be tasted especially among our home-made pastries. Also, among our traditional goods, you can taste modern, present day delicacies, as well as our recommended specialities. Our most popular specialities: Mille-feuille [„Francia krémes”]: crisp, buttery layers of puff pastry with cooked vanille cream, stuffed with whipped cream, and caramel fondant on top. Captain Morgan cake: pieces of sponge cake with rum and chocolate dressing, stuffed with vanilla cream. It was named after the famous jamaican pirate This cake was created at our confectioneries, made with the original recipe of Ernő Bergmann. Gellért Roulade: light sponge roll with thick, cooked parisian chocolate cream, rum, cherry, and pieces of brittle. All of our icecreams are made of natural ingredients with traditional gourmet methods, providing exceptional bases for our magnificient icecream sundae selection.Our costumers who have less of a sweet-tooth are very pleased with our „pogácsa”, a traditional Hungarian savoury scones and breads.Coffee Specialities: Our coffees are made of a mixture of our own special roasted coffee beans. Besides the regular drinks, we offer home-made hot chocolate, wide range of teas, and shakes for our costumers to spend their pastime.We tend to extend our offers with seasonal products such as traditional pastries, cakes, and special sweets, self-made chocolate figures, and seasonal fruits that belong to holiday feasts (Christmas, Easter).Our confectioneries can be found on Petőfi Sándor street, Balatonfüred, along the 71 highway. One of them can be found on 64 Petőfi Sándor, Balatonfüred. This confectionary belongs to a spacious, sunny terrace (weather pending), and is characterised as cosy, with a comfortable layout and a familiar inside.Other shop of ours can be found on Zsigmond street 1 in the Arany Csillag House. The layout and the terrace of this Shop is adapted to the lasting elegancy and style of the original building that was constructed here in the last century. The pastry shop is also a cafe and a teahouse with a spectaculer offering of teas! BL Yachtclub & Apartments is situated in the centre of Balatonlelle, right on the southern shore of Lake Balaton. A harbour, a Yachtclub, luxury villas in a park with primeval trees, pools, a sandy beach and not least the unforgettable view of Lake Balaton. All these together at one place. It’s well known that sailing is not just a sport; it’s a fantastic relaxation at the same time. If you haven’t tried this form of active recreation yet, this is the time for it! Our 160-seat European-class marina, our outdoor swimming pool our apartments and restaurant open all year long offer ideal recreational opportunity for our guests. In 1988 the Nagy family laid the foundation stone of the wine restaurant on the ancient estate of the family.This property was brought by István Fata, our great-grandfather when he moved to Badacsonytomaj.As a descendant of an Italian family, he cherished the love and respect of land, vine and wine in his mind and body. RestaurantIt happened in Badacsony, more precisely in Tomaj, sometime at the end of the 1900s that three good friends called Atika, Péter and Pista got a task to do. CellarAt the moment we husband about 9,5 hectares and we produce altogether 14.500 bottles of wine annually. The advantage of the relativelly small quantity is that we know each and every vine and we can aim for better quality. 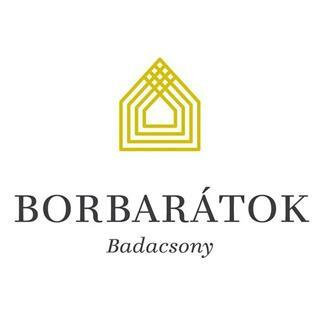 PensionBorbarátok (Friends of Wine) Pension is situated for some minutes from Lake Balaton, at the foot of Badacsony Hill, in the resort area of Badacsonytomaj. We offer 6 double rooms (out of 4 with extra bed). We have got own parking lot and a playground too. This exceptional vineyard lying on the southern slopes of the Örsi hill has been family property for over 40 years. The bed of volcanic rock characteristic of the Badacsony wine region ensures that the soil is rich in potassium and micronutrients. This surplus endows the wines of the region with intensive acidity and full, rich taste. Soaking in the sun, the region has a balanced, sub mediterranean climate subserved by the southern aspect of the vineyards and the surface of beautiful Lake Balaton. At the very beginning there was only a mixed plantation next to the press house but gradually we acquired more and more land and revived the vines. Except for the land of the ‘hárslevelű’ where it is still the 25-year-old vines bearing fruit. Currently we cultivate three acres of land and produce four varieties of wine: ‘olaszrizling’, ‘szürkebarát’, ‘hárslevelű’ and ‘kéknyelű’. Perhaps the latter two are the closest to our hearts. The ‘kéknyelű’ is exceptional as it is produced solely in this wine region. The ‘hárslevelű’, on the other hand is not a typical wine of the area nevertheless we feel it has great potential for giving rich, fragrant yet elegant, light wine. The Dobosi Winery is a family business in the Balatonfüred-Csopak wine region. In the early 1700s their ancestors established themselves 5 km from Lake Balaton in the picturesque town of Szentantalfa situated, between Zanka and Nagyvázsony. After the political change, Daniel Dobosi, an excellent winemaker, and his wife Ilonka with their unsurpassed hospitality revived and maintained the family estate. Among the five children, Bálint and Győző chose to carry on the legacy at the winery and today they are running the business. hus a nearly three century year-old grape growing tradition has been passed down from father to son. The family currently cultivates 24 hectares of vines, mainly in the Nivegy valley wine region and 1.5 hectares in Balatonfüred. Given the viticulture/wine making history of ancient Hungarians, and that the industry has thousands of years of history, we thought that using the tried and tested cultivation methods of old, would produce a genuine organic wine. Our guests in true country-style, family hospitality can choose from 15 different wines along with dinner. Meals are mainly prepared with local or organic ingredients. It’s worthwhile to try our local jams, cheeses and sausages! Those who want to enjoy a real experience or relax, can spend a night with us. Starting in 2015 our winery welcomes you with 6 new guest rooms and a sauna. In the nearest neighbourhood of the vine plantations, our winery at Kishegyi str. 42 we keen to host visitors offering them a refreshing white or a thought-awakening, fruity red wine. We make their stay comfortable by serving the wines in a pleasant garden in front of the building, in a nicely placed garden pavilion, from the beginning of May to end of October. Wines chosen through the tastings can be selected and purchased at a favourable or discount price. In the wintertime our Vinotheque provides the place for tasting and wine-buying. Our venue-room that can house 40-50 people, is apt for holding family or company events, conferences and business meetings combined with a wine-, or sparkling wine tasting. The tasting comprises – as to personal demands – of 3-4 white wines, 3-4 red wines, 3-4 sparkling wines. For the events we offer dishes such as: In the form of wine-biscuit: hashes filled with meet and vegetables, „pogácsa”. In the form of our Hungarian-style cellar-dish: sausages, bacon, ham, cheese, bread, green-pepper, tomato. In our cold plates: ham-rolls, casino-eggs, English sirloin, French salad, Russian meat salad, filled spare rib, filled turkey or chicken breast. We have been making the outstanding wines of Balaton Region in Gyukli Winery for about four decades. 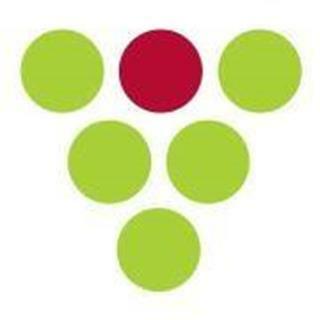 Besides the worldwide grape varieties Gyukli Vinery also puts a special emphasis on the production of wines made of traditional Hungarian grape types. By the experimental plantations of the recent years we have worked out the heading of fungus resistant types, and viticulture and soil cultivation modes which, in terms of ecological viticulture fit in better with the characteristics of the wine region, and can increase the touristic significance of the region as well. As winegrowers we believe that nature is pure, hence both in the vineyard and the cellar we support its processes without using chemicals. At Gyukli Vinery, over the years, we have been putting emphasis on the preservation of the sustainable good condition of the plantations, the careful selection of the grapes fitting the crop land, and the reduction of the ecological footprint caused during farming. In a sense, producing our wines is taking responsibility of our environment and health; and it becomes obvious during the tasting that ecological farming is the one and only way in the long run. The unique combination of the endowment of the Balatonfüred - Csopak wine region and the potential of chemical-free viticulture appear in our wines year after year. We have founded the Hertzka family estate in 2011 with my wife Andrea. As always it was not easy to find the perfect place. 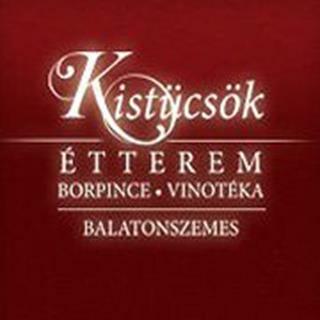 Finally we have bought our first vineyard in the picturesque Balatoncsicsó in 2009. Our dream was to find a land with the ideal size, ideal aspect, the perfect soil for making excellent wines and also with a view to the ‘Hungarian sea’, Lake Balaton. After 5 years of continuous search we have found this gem of places which is situated– not only in our opinion – in the most beautiful part of Balaton highland. At present we are working with 1,5 ha of which 1 ha is production soil. Our grape varieties are: 'Olaszrizling', (2 types, Basic 'rizling' and B20 ), 'Zeusz' and the 'Kékfrankos'. In the spring of 2014 we have planted 0,5 ha of Pinot noir as well as some Piniot gris. We are planning to have also 0,5 ha of Syrah in the spring of 2015. We are making a very special wine as well by blending the Merlot and the Cabernet Franc aged in a wooden barrel. In 2013 we have produced 3700 bottles. Our goal is to be able to produce and issue 10 000 bottles of quality wines each year. We would like discover the possibilities of the soil to be able to produce high quality wines in which the nature of the region reflects genuinely. We believe this is only possible if we have personal relations with each and every grapevine and bottle. The hotel is located in a picturesque wine region, on the territory of the Balaton Uplands National Park. Be our guest and discover everything the region and this unique hotel have to offer. We introduce you to the lesser-known, romantic side of Badacsony, Lake Balaton and the Valley of Volcanoes. Our special trips, Nordic walking tours, wine cellar visits, wine dinners, horse riding programmes, castle tours and countless other active and wine programmes will entice everyone. Active recreation can be complemented with selfness services: a well-equipped wellness department; yoga, self-development and entertainment programmes; and themed days and weekends await our guests. A new wave beach bistro "where there is no heck and lágnos but there is Fish & Chips" wich in 2015 became the Beachfood of the year, handmade burgers, stuffed wraps, salads, healthy, traditional and innovative dishes, Balaton wines, beers, ice cream. We work together with many local growers, with whom we guess, taste, experiment, how to create something good on the beach, something different, gastronomic experience. In a relaxed, loose atosphere, we are waiting the ones who love to chill on the beach, have lunch and dinner. 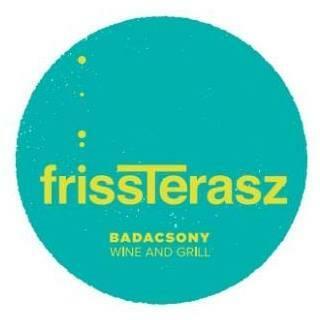 A beach bisro 2.0 "where there is no heck and lágnos but there is Fish & Chips" wich in 2015 became the Beachfood of the year, handmade burgers, stuffed wraps, salads, healthy, traditional and innovative dishes, Balaton wines, beers, ice cream. We work together with many local growers, with whom we guess, taste, experiment, how to create something good on the beach, something different, gastronomic experience. In a relaxed, loose atosphere, we are waiting the ones who love to chill on the beach, have lunch and dinner. With the rebirth of an iconic lakeside building, KisHableány is the place to go when spending a hot summer day in Badacsony. Beach food from carefully selected local ingredients, fine local wines, hand-crafted beers and DJ sets at weekends – this is what the terrace of KisHableány has to offer to you. The love of tradition involves the love of future – Lalla Romano. This motto from the famous Italian writer is very close to the philosophy of Kistücsök.Almost two decades has elapsed since I took over the restaurant in the middle of my twenties and I had ideas, plans and dreams. Initially I may not even specify the goals and the ways to achieve them more accurately but since then I have built them knowingly and consequently; additionally, that time the gastronomic culture and medium was also quite different. And then something was started. Thanks to one of my travelled guests with whom I have had a close friendship since that time, I became more and more interested in the world of restaurants in foreign countries.We had a lot of conversations and started to take culinary “study trips”. The world opened, and thanks to the experiences and international examples, step by step I got a more and more precise vision on what kind of restaurant I want to create. It is beyond doubt that László Jahni senior chef and the whole team of the restaurant had a significant role in implementation, and without them we would not be at the stage where we are now.I think that the honorific title that Kistücsök is among the ten best restaurants of the country with the award of “Restaurant Owner of the year in 2010” confirms that we are in the good way. Through our foods and wines we would like to introduce our region, our Balaton. The respect the local traditions and raw materials is essential for us as we are originated from these roots but we also keep our eyes on renewal and innovation. I believe it is important to understand and speak about these principles, and therefore we participate in the life of domestic gastronomical community. We motivate others to use the raw materials of our region, and maintain close and trustful relationships with the producers, fishermen and winemakers of the region. Our mission is to connect them with each other thereby promoting the wine and food culture to its deserved place in this area. Travelling remained to be an important part of my life. In winter, when the restaurant is calmer, or any time when I need some relaxation me, my wife and my son Bence travel to enjoy the art of Mediterranean catering, sometimes even for only one day. We most often visit North Italy which is only few hours distance from us. I open the album „On the road of tastes – A gastronomic journey in the Italian Friuli” by Walter Filiputti and choose the next target. We travel to that specific village, sit down on the main square, taste their wines, hams, cheeses and have a good conversation with the restaurant owners. I am compelled by the joy of life and friendliness of these people and last but not least the natural atmosphere of the restaurants. My dream is to bring this feeling of life and gastronomic culture I experienced there into our restaurant. I would like our guests to come home to our restaurant. I had a lot of plans for the next years. I trust that I will be able to achieve them step by step – together with my team. For the meantime I look forward to meet you here in Kistücsök! Balázs CsapodyOwner of Restaurant Wine cellarWe welcome our dear guests in the wine cellar of the Kistücsök Restaurant. If you would like to know more about the Hungarian wines visit us on a wine-tour. You can choose from more than 200 kind of wine and 5 different wine-taster programm where you can meet the biggest wine-countries of the Hungarian wines, its wine-culture, wine cellars and the woderful harmony of the foods and wine. 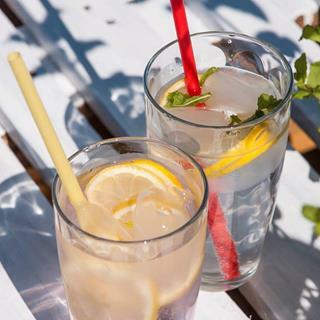 The samples are not definded by number, so anyone, anytime have a possibility to enterfain useful.borok Wine-sample programms:Summer wines: light, fresh white-wines, sweetly fragrant rose and Mediterranean red-wines, which can be take in the summer heat the most pleasantly. Hungarian species of grapes: These are unigue in the world, the grape-species of wines can be found only in Hungary Wines of South-Balaton: The nearest our heart: Wines of the Balatonboglár wine-district. Wines of our famous wine-districts: Wine of the 7 grape-species of the 6 most famous wine-country (Eger, Badacsony, Somló, Szekszárd, Villány-Siklós and Tokaj wine-growing district) Our favourites: The favourite wines of our manager, main-cooker and our specialist only for gourments. Our wine-growing and cellars are located in the Káli-medence at Köveskál, on the southern side of the volcanic Fekete Hill, based on an old family business, where the tradition of viniculture and wine-making is still being passed from father to son. Csopak is one of the world-class terroirs of Lake Balaton where the diversity of soils, climate and timeless viticulture create unique wines. Mineral clays, chalk and volcanic soils give different characters. Our aim is to show this diversity through a narrow range of authentic grapes: olaszrizling, furmint and kékfrankos. Therefore we respect old vineyards and save their grape for vineyard and soil selections. Natural yeast, slow winemaking and gentle aging are all key elements to preserve their uniqueness. Egész évben nyitvatartó étterem hagyományos fogásokkal, a már jól ismert Laposa minőségben. A badacsonyi vengédlátás reneszánsza a fantasztikus panorámájú hegyoldalban.